Author: Mark Charles Bilbe. Series edited by: Archiv und Museumsstiftung der VEM, Wuppertal. 12 pp. Roman, 292 pp. Located in the Cederberg Mountains of the North-Western Cape of South Africa, the Wupperthal Mission, in existence between 1830 and 1965, had a long and remarkable history. The Wupperthal community is a Coloured settlement and this thesis constitutes a contribution to the history of Black rural mission settlements in Southern Africa. The development of the mission has been reconstructed using primary and secondary sources, oral testimonies and family reconstitution and demographic analysis data. The thesis presents the hypothesis that due to the relative isolation, inaccessibility and environmental marginality of the Cederberg Mountains, Black households were permitted greater access to land until the end of the nineteenth century than was common in the Western Cape. The economic independence enjoyed by Bastaard families in particular permitted the emergence of a Black rural elite, which was well established in the area when the Rhenish missionaries founded the Wupperthal Mission in 1830. The ex-slave and Bastaard families who settled at the central mission soon formed the emerging mission elite of educated teachers and artisans. Headmen of certain households became deacons and elders, creating a mission hierarchy the index for which was occupation. After the Second World War the collective consciousness of the community was fuelled by mounting concerns over land tenure and economic sustainability. 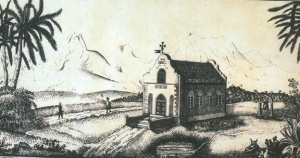 A growing political awareness among the inhabitants resulted in a decision not to amalgamate with the Dutch Reformed Church (DRC) after the war. The historical analysis shows how the cultural conservatism of the Rhenish missionaries gave way to a more enlightened view of mission in the mid 1950s and how the community was able to have voice for the first time. The lack of a Black “voice” poses a significant problem for any African social historian. The family reconstitution exercise carried out for this thesis provides a means of presenting the life histories of the Wupperthal families despite the lack of primary written sources. Coupled to these life histories are the occupational data, demographic characteristics and anecdotal comments in parish registers, which combine to create a vivid insight into the lives of the inhabitants of the mission despite the lack of “voice”. The demographic characteristics charted at the beginning of this publication reflect changes that relate to the local economic, social and political events in the area over time. A second alternative to the lack of primary written sources from within the community is provided by the use of oral interviews, though mainly for the twentieth century only. Knapp 300 Kilometer nördlich von Kapstadt in Südafrika liegt die kleine Stadt Wupperthal. Sie wurde als Missionsstation von den ersten vier Missionaren der Rheinischen Missionsgesellschaft gegründet, die 1829 in das Gebiet kamen. Die Geschichte dieses Ortes ist jetzt in der Studie des englischen Historikers Mark Charles Bilbe dargestellt worden, die er als Dissertation an der Universität Cambridge eingereicht hat. [...] this text is valuable in that it provides a number of original approaches to a staple topic of South African history. “Wupperthal” combines the history of church and mission with the investigation of economic and demographic change. Based on the analysis of parish register data, it focuses on the family constitution and reconstitution, as well as on the formation of family-driven networks.